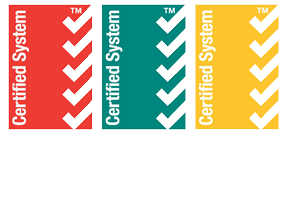 Advanteering has an Occupational Safety and Health Management System which is third party certified by SAI Global to comply with AS/NZ ISO4801. Before commencing work on a project Advanteering develops a specific safety section of the QEST Plan. The QEST Plan documents the methods to be adopted to carry out the works in accordance with company Procedures, Policies and the Safety Manual. This includes developing specific Work Instructions for every task carried out during the project. The QEST Plan identifies all potential risks which are then rated then treated to reduce the severity of the risk. All personnel are required to carry out a site induction and also when a new process is commenced to attend a prestart meeting to workshop the safety features of each Work Instruction for the tasks that they will be performing. Due to the integrated nature of the management system, these Work Instructions also ensure a high quality of work is achieved and the impact on the environment is minimised. All of our projects are audited internally as part of our safety management system. Additionally, SAI global carry out audits of our safety management system every 6 months.